You need a shop with living quarters, this is the set up for you. Totally unique to Dalton, nothing else like it with the ability to build your dream home next door while living on the property. This shop has 4 bays which 3 of them are drive through. One of the living quarters has full kitchen, 1 bedroom, 1 bath, laundry room and gas fireplace in the living room. The 2nd quarters is upstairs and has 1bedroom, 1 bathroom, laundry room and gas fireplace in living room. This quarters doesn't have a kitchen. This is a true SHOUSE (Shop+House)! 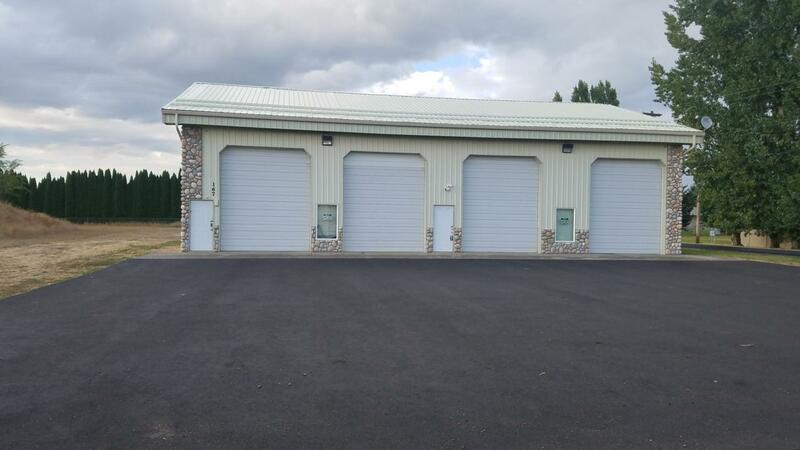 The building size is 50X70 and just under 2 buildable acres.